Plus, the Navy’s top officer is only slightly worried about sequester’s impact on the pivot. Wednesday defense links. Myriad sources in recent weeks are reporting that South Korea’s military has decided that its country needs the F-35 Joint Strike Fighter. 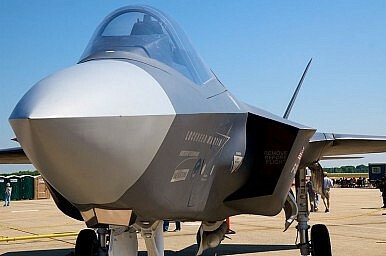 According to one report from Reuters, in a meeting on Friday South Korea’s Joint Chiefs of Staff will endorse an “all F-35 buy” of 40 of the aircraft for its FX-III fighter jet competition. The same report said that they will also include an option to purchase 20 additional F-35s in the future. Some notable figures are recommending that Seoul should purchase a combination of F-35s and F-15s. Meanwhile, the U.S. Navy is looking at purchasing more F/A-18 fighter jets even as it reiterates its commitment to the F-35. Per usual, War on the Rocks has featured some excellent analyses in recent days. One such piece by Matthew Hipple considers how a war between the U.S. and China would start. Frank Hoffman also asks some hard questions about Air-Sea Battle in the context of the new QDR. As part of its “Asia-Pacific Oversight Series,” the House Armed Services Committee held what Breaking Defense is calling an unprecedented gathering of Asia-Pacific ambassadors last week. Feng at Information Dissemination runs through some of the new projects the Chinese military is working on. U.S. Secretary of State John Kerry and Secretary of Defense Chuck Hagel are meeting with Australian Foreign Minister Julie Bishop and Defense Minister David Johnston in Washington, DC today for the annual Australia-U.S. Ministerial (AUSMIN). The U.S. military will adopt ASB as its new warfighting plan in Korea, according to a U.S. military official.